Your parents are getting divorced! Isn’t it a shell shock for any kid? Probably, there can’t be any harsher news than this for him/her. The devastating effects of a divorce between parents on children often turn out to be immensely harmful, starting from he/she becoming a negative person to the kid getting trapped in the collapse of depression and other psychological issues. It is very true that divorce and children never go hand in hand and the stress of their parents’ separation can altogether break kids from inside. However, it doesn’t mean that you, as a parent, have to remain stuck in an unwanted and mentally distressing marriage for the entire life. Good parenting is certainly not something entirely embedded with the compatibility of your marriage. 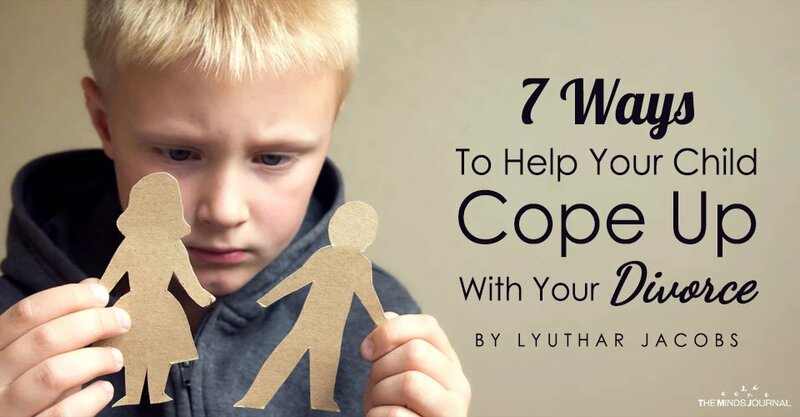 You can make your kids understand the right way of coping up with you and your partner’s divorce. All that you need to do is just act strategically and that’s it! How to do that actually? It is one of the biggest and most sensible aspects of good parenting. If parents don’t come through kids regularly then kids end up blaming themselves. They start thinking that if only they were more fun, better and well-behaved then surely their parents would have loved to be with them. Hence, always assure that you and your partner are giving enough time to your children. Both of you might be planning to file a divorce or already got one, it is important to let your child feel that he/she is loved unconditionally. Be a sport and come up together to spend some quality time with your kids. It will soothe their mind and eventually, the deteriorating effects of divorce on children would be pretty less. It is not recommended to make fakes excuses for the absence of the other parent and normalize the situation. You might think that it could be one of the best ways to negate the bad effects of divorce on children but in reality, it is not! Your kid might find it to be a convincing answer at the very moment but it will not be the same in long run. It is required to craft the situation in such a way that coping with divorce becomes an easy-going chapter for your kid. Your child must vent without any criticism or apology for the absent parent from your end. Helping your children through a divorce of you and your partner is certainly not an easy task. Your kids might often end up becoming depressed and sometimes, even stop communicating because of the shock. In that case, it could be really harmful to him/her. He/she has to speak out her mind to get a better understanding and feel what’s happening actually.